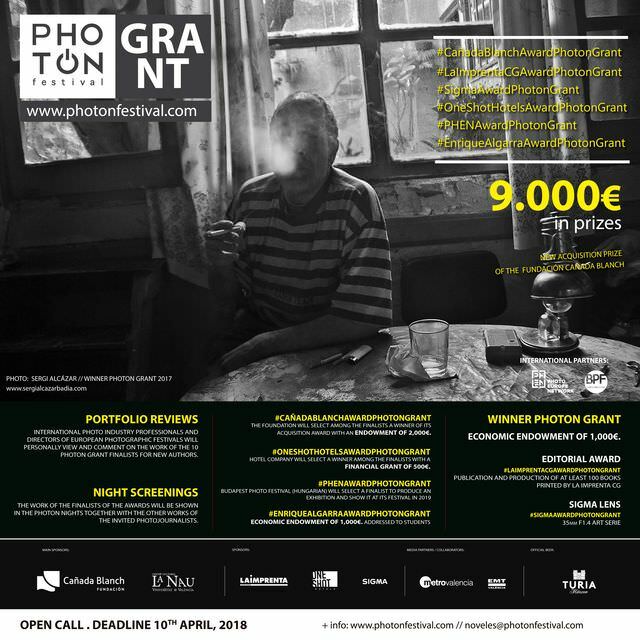 Copyright: For the purposes of public communication of photography, including making available online, award-winning author assigns such diffusion rights to PhotOn Festival and sponsor under non-exclusive and illimited period of time for promotional use with 4 images. Fundación Cañada Blanch independently will choose from the ten finalists the winner of the #CañadaBlanchAwardPhotonGrant, an acquisition prize with a financial contribution of 2000€. The author has the possibility to submit a single photographic series or a story. 20 images max, and 15 images as minimum all belonging to the same story or series. Image requirements: jpeg 1500 pixels on the longest side.